Zimbabwe’s new government ordered Thursday that land confiscated from a white farmer to give to an ally of former president Robert Mugabe must be returned.Robert Smart, who grew tobacco and corn on his farm in Makoni in eastern Zimbabwe, was evicted in June after a former minister ordered that the plot be turned over to pro-Mugabe cleric Trevor Manhanga.“(He) surrendered part of his farm during the land reforms and the G40 started racially profiling him to justify eviction,” said Chris Mutsvangwa, a special advisor to President Emmerson Mnangagwa.The G40, or Generation 40, was a faction of the ZANU-PF party, mainly younger members, once loyal to Mugabe’s wife Grace.“Smart and others were victims of racial discrimination, greed and abuse of power. Their farms were acquired outside the parameters of the law.”He added that the government was investigating other illegal farm takeovers. Smart and his son Darryn were reportedly evicted by heavily armed men who beat farm workers and stole property. In 2000 Mugabe launched the disastrous land seizure programme in which farms were forcibly taken from white farmers, officially justified as an effort to stimulate economic growth for black Zimbabweans. The evictions, often brutal and arbitrary, were blamed for a collapse in agricultural production and chronic food shortages that forced the one-time breadbasket of Africa to become dependent on imports of staples. Economic output fell by half following the start of the land seizures, as more than 4,000 of the country’s 4,500 white farmers were stripped of their land. 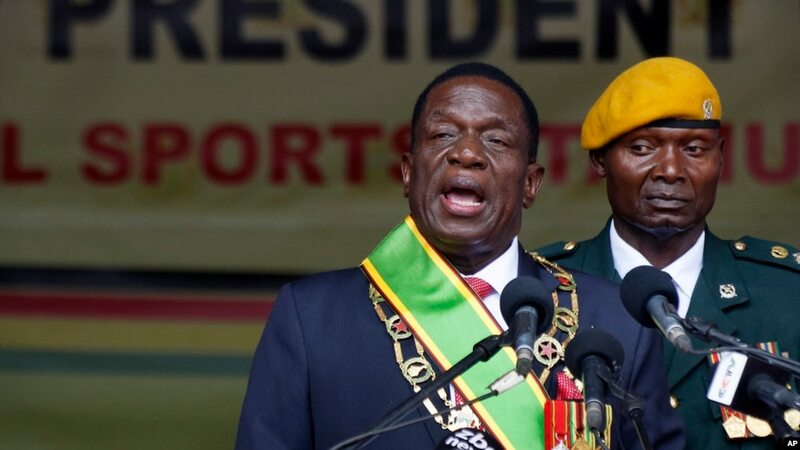 Mnangagwa, who replaced Mugabe last month following a military takeover, has vowed to revive the country’s economy by lifting agricultural production and attracting foreign investment. In his inauguration address, he also pledged that his government would compensate white farmers whose land was seized by Mugabe.